She’s referring to the county’s elected officials, all of whom have their own agendas, budgets and ideas about the way things should work. Because they have their own budgets, elected officials can make their own technology decisions, even if the IT Department recommends otherwise. After getting buy-in on the front-end from the project’s steering committee (which included representatives from the District Clerk, County Clerk, Auditor, Sheriff, Tax, Juvenile Probation, Adult Probation, Purchasing, IT and Records offices), Skipworth authored a memo of understanding that was distributed to all elected officials. 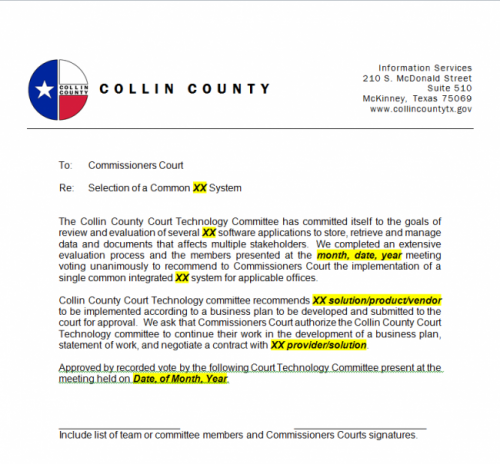 The memo outlined the county’s intention to standardize on Laserfiche, including the benefits of taking an enterprise approach to ECM. It ensured that all elected officials understood that they would be held accountable for using the Laserfiche system rather than spending additional taxpayer money on a departmental imaging or document management system. 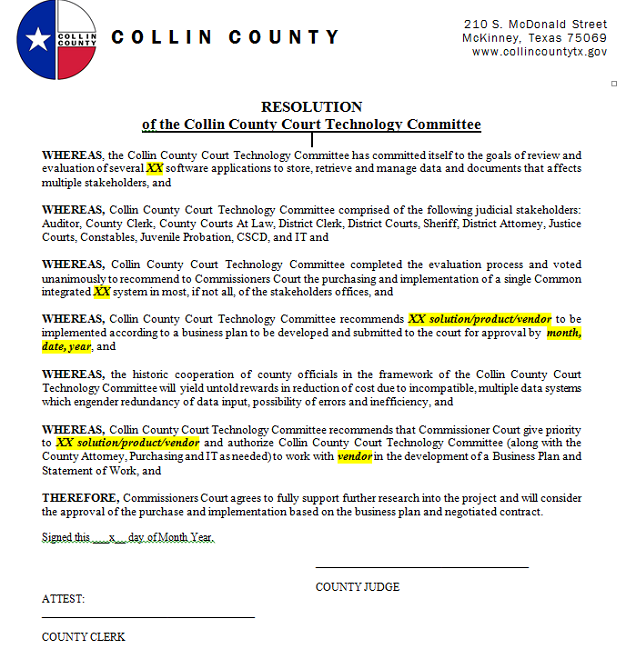 Skipworth then wrote a county resolution document that confirmed the decision to purchase and implement Laserfiche enterprise-wide as a decision approved by all elected officials. The resolution document was certified in court.